Here is a group of chicks that is starting the hand raising process. 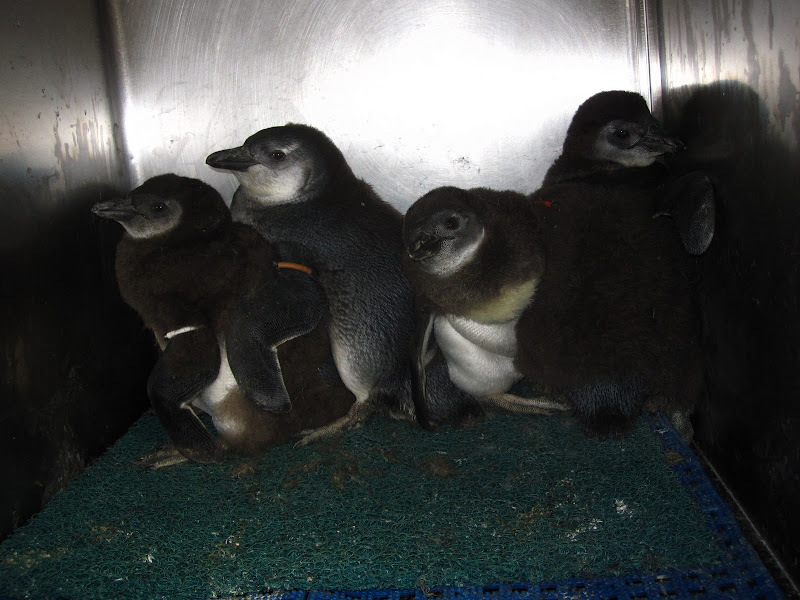 Once the chicks are eating from us easily, have fully fledged (replaced their downy chick feathers with their waterproof juvenile plumage) and are swimming comfortably in pools behind the scenes we will start introducing the chicks to the penguin exhibit. This chick is ready for its first swim in the penguin exhibit. Much like the first day of school, the first trip to the penguin exhibit can be a bit overwhelming for the young penguin. We slowly introduce the new penguins to the exhibit. At first, they may spend less than an hour on exhibit with the staff watching them very closely. As the youngsters get more comfortable they will stay in the exhibit for longer and longer periods of time with less and less supervision from the staff. 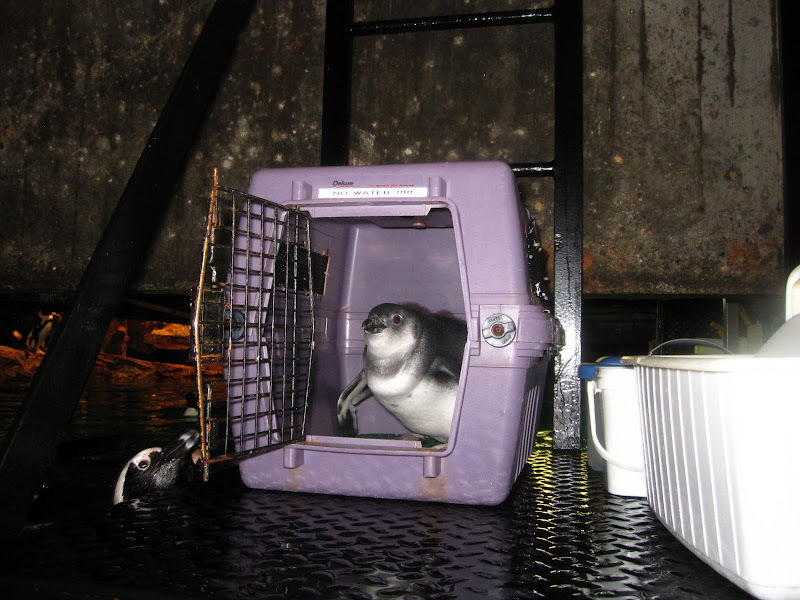 Before we feel the new penguins are ready to be in exhibit full time we make sure they can get up on the islands easily to rest and feed with the rest of the colony. One of the new chicks resting on a island in the penguin exhibit. Each penguin is unique and some may take longer than others to adjust to the penguin exhibit. Finally a name is chosen for them once they join the other 80-plus penguins in our colony. 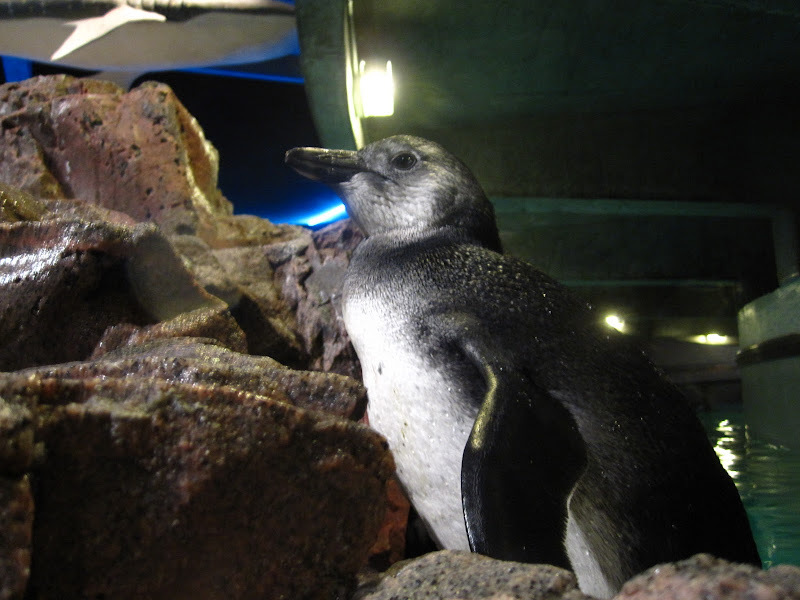 Watch these videos of some of our chicks' first experiences in the penguin exhibit.